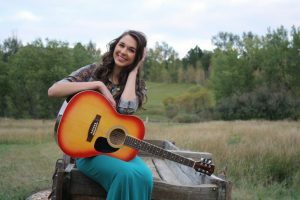 COMBO’s — and Parker, CO’s — own Super-Star to be Kristi Hoopes! Drum roll please…introducing your winners of our songwriting competition! Come out to Jazzmatazz to check out these incredible songwriters before they head to CMA on the 20th! Congrats to COMBO’s – and Parker, Colorado’s – own Kristi Hoopes for making the Top 8. She will be getting to perform on the JazzMaTazz Stage this weekend for the Country Music Association’s Showcases! The other seven winners were Allison Young, Nick Olson, Daniel Nunnelee, Chloe Kimes, Chandler Brown, Brittney Spencer, and trio James Austin, Kayla Dunbar, and Laura Short. Kristi has also been chosen to appear in the New Wave Singer / Songwriter Showcase tomorrow night in Nashville at the CMA Event Space, 35 Music Square East. Show starts at 7:00 p.m. Don’t forget to RSVP to the New Wave showcase at the CMA Space in Nashville. This one gonna be killer. Come rub elbows with industry folk.